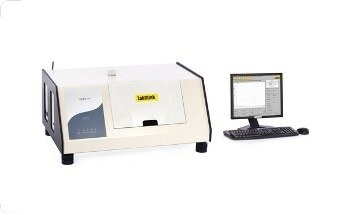 The C640 Thickness Tester from Labthink® is a high precision mechanical contact technique thickness tester, which can be used for the thickness measurement of films, paper, corrugated paperboard, sheeting, non-woven fabrics, textiles, and solid insulation materials, etc. 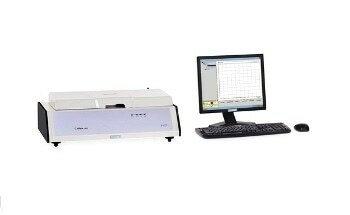 Auto sampler is optional, which is built for numerous successive points thickness measurement. 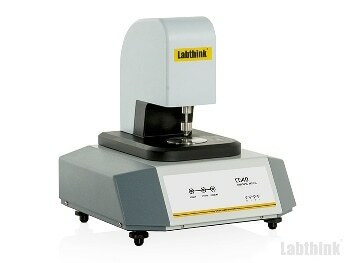 Note 1: The parameters in the table are measured by a skilled operator in the Labthink laboratory according to relative requirements for laboratory standard conditions. 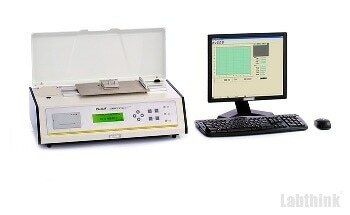 For comprehensive applications, customization is available to meet the exclusive testing requirements. 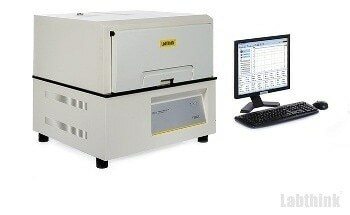 Note 2: DataShieldTM offers safe and reliable data application support. 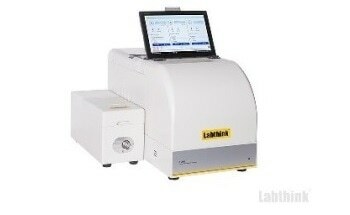 Multiple Labthink instruments can share one single DataShieldTM system which can be bought as required. 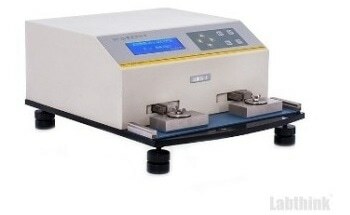 Note 3: Test pressure and contact area can be chosen for film or paper. 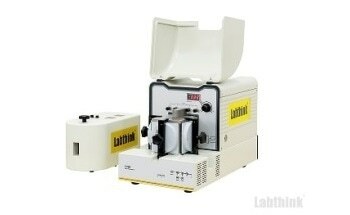 There are two options for test pressure for paper, i.e. 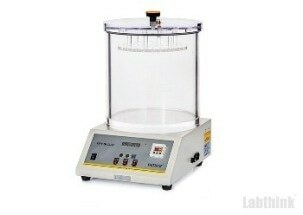 100 kPa (standard) and 50 kPa (optional). 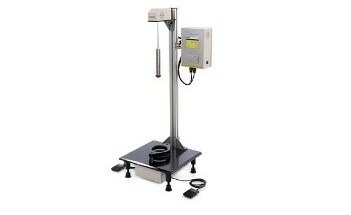 For other test pressure and contact area or curved pressure foot, customizations are available. 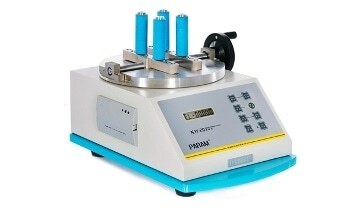 The pre-conditioned specimen is positioned on a flat test plane, the pressure foot which is paralleled to the test plane will drop down on the upper surface of the specimen with specific pressure applied on. 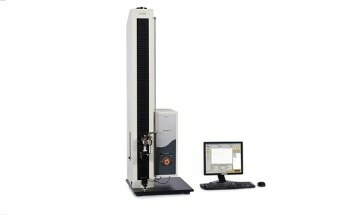 The displacement sensor with the pressure foot will detect the space between the lower and upper surface of the specimen, which is the thickness of the specimen. 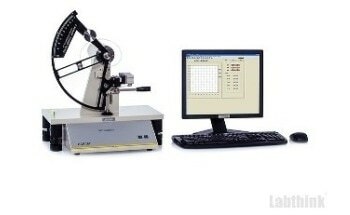 Thickness measurement of a variety of paper board, paper, and composite paper board, etc. 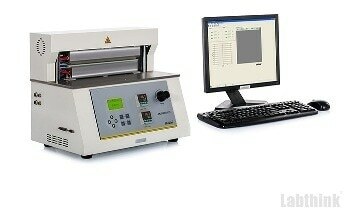 Thickness measurement of various sheeting, plastic films and diaphragms, etc. 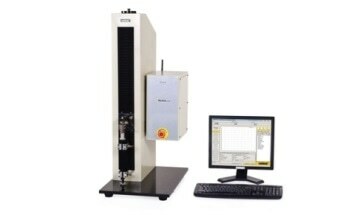 Thickness measurement of foils, silicon wafers and various metal pieces, etc. 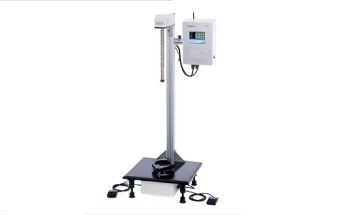 Thickness measurement of non-woven fabrics, for example, sanitary napkins, baby diapers and medical masks, etc. 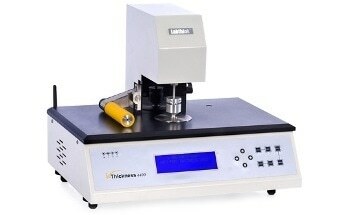 Thickness measurement of adhesive tapes, solid insulation materials, earthwork synthetic materials and rubbers, etc. 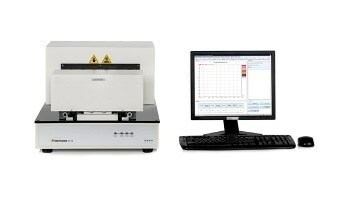 Based on innovative research and development, the Labthink C640 Thickness Tester uses a high precision displacement sensor, aided by scientific structure and professional control technology, which makes C640 significantly enhanced in repeatabilityNote 1, stability and accuracy. 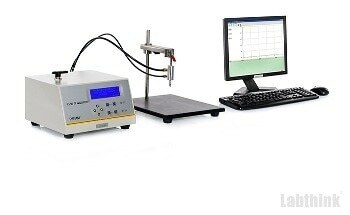 Calibration of multiple points can enhance the linearity of the entire test range, which guarantees the accuracy of measured results. 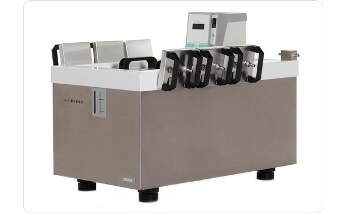 The instrument is featured with automatic design of structure and high efficiency, which minimize the human operation in measuring process. 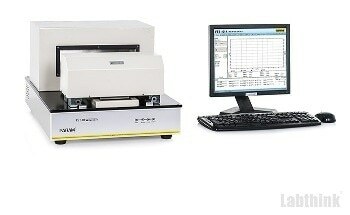 Intelligent controlling and data processing functions make it reliable and easy for test operation and data processing. 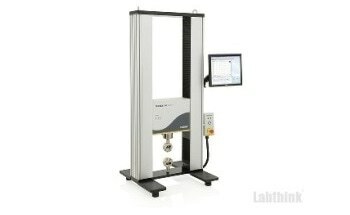 Auto sampling function (optional), feeding speed, feeding space, measure points can be fixed as required, which guarantees the accuracy of multiple successive points measurement. 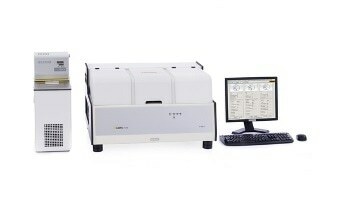 The tool is embedded with Labthink’s latest operating software, which is featured with user-friendly interface, strict user management, intelligent data processing and secure data storage. 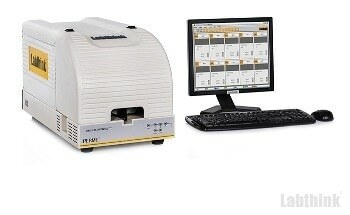 It also supports Labthink exclusive DataShieldTM (Optional) which offers the users with safe and reliable management of test data and test reports.